Just about every mythology, you’ll find something in the line that God created human beings. Creation doesn’t mean creating something from scratch – This is true for the statute discovered 7,000 years old. Al-Ubaid is Arab tribe in Iraq settled in Kirkuk. During the 18th century, the tribe has migrated from the Baghdad area to Khabour and Hawija. Contracted to protect the oil pipelines, it has faced lots of consequences. At the Al-Ubaid’s Archaeological site, researchers have found several pre-Sumerian artifacts a way back 7,000 years. These items have strange looking statutes being discovered, which happens to be a combination of lizard-like and human features combined. Unfortunately, little is known about the civilization. However, its influence may be seen in different Sumerian culture aspects. After a while, it developed into a flourishing city. 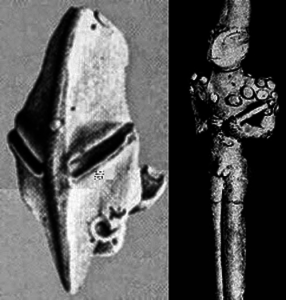 The Mystery 7,000-year-old Ubaid Lizardmen covers the humanoid figurines at the same time a lizard-like characteristic. As for the gender, it is both male and female, and most have what appear to be helmets on their heads. As you can see, they portray humanoids with reptilian characteristics. Others are also holding sceptres or staffs, symbolizing the ruling class. 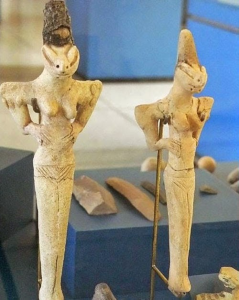 The strangest figurines are said to be the female figurine holding a baby, which has a strange lizard-like feature. Furthermore, the baby has a pointy face and almond shaped eyes. When archaeologists have found out the discoveries and no reason was being given as to why Ubaid culture made these looking figurines worshiping lizard-like creatures. Later on, it was justified that the poses of figurines are holding a baby while breastfeeding does not symbolize a ritual. Therefore, the purpose remains a mystery to archaeologists. As for the origin, it was neither an imagination nor decoration because these Lizard-like creatures have already been present in many different cultures. 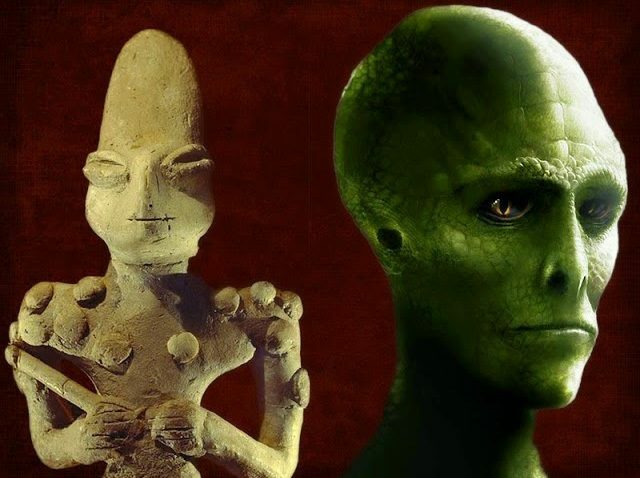 The post Uncovering the Mystery 7,000-year-old Ubaid Lizardmen appeared first on Latest UFO sightings, videos and news.